As any savvy HR pro knows, people don’t just work for money. Recognition, working conditions, PTO, retirement and all sorts of other benefits are in play. Put into everyday terms, in this competitive market candidates want a company that values them, looks after them, and offers a future. One benefit that has been trending among the largest companies and is now gaining traction with SMBs is financial wellness. More than three-quarters of working Americans live paycheck-to-paycheck. If there’s an emergency (and, eventually, there’s always an emergency) 44% couldn’t even come up with $400. For many employers, that presents an excellent opportunity to help. But how? Requests for payroll advances are difficult and time-consuming for HR or payroll to process and evaluate. Who gets the advance and who doesn’t? Raids on the 401(k) plan are counterproductive. A financial wellness platform allows “helping” — with all of the accompanying benefits — to be cost effective and efficient, both for the employer and employee. All employees get the financial help they want, making their employment package more attractive and competitive. New hires are more engaged from the start and tend to stay longer. And here’s the really good news. 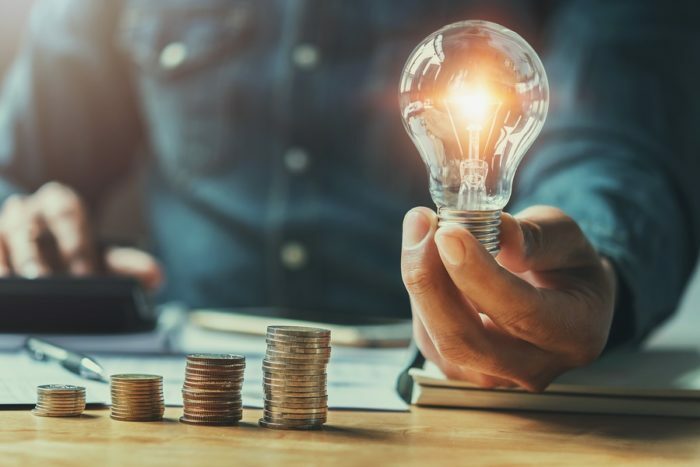 Research has shown that organizations with a robust financial wellness program tend to be more productive – employees are not spending company time on their personal financial problems – and report an average 3:1 return on their financial wellness investment. Employees also stay longer, are more engaged, less stressed and healthier. All of which is good for the bottom line. One very practical financial wellness benefit with high appeal to many prospective new employees is help with their student loans. And it’s not just the millennials that need assistance. A recent Wall Street Journal article noted that $86 billion in student loan debt is owed by workers over 60 years of age. Some are even having their Social Security benefits garnished. Financial wellness programs can enable employers to offer advice on lowering payments and extending terms, and in some cases, even cut the overall debt owed. Having a financial wellness platform already on board simplifies the process. There are some 44 million Americans saddled with student loans, so the employee pool is huge. Recruiters who can add an attractive student loan benefit to their arsenal may find that they are attracting more of the best and brightest for longer. Financial wellness is continually evolving, just like any other employee benefit. As needs become apparent, platform providers will create solutions. These might include credit cards, insurances, banking, wage advance programs and student loan options. At the same time, providers must make the user interface as friendly and accessible as possible on all devices. Employers can’t just implement a financial wellness platform and say, “We’ll, I’ve done my work here.” As the needs/solutions continuum evolves, the platform requires continual updating. Employees expect continuing education and reinforcement. Management must be forward looking. MassMutual’s most recent Middle America Financial Security Study turned up some interesting facts. Almost half of Americans reported that they were not financially secure and over 60% said they were behind on preparing for retirement. Half said they wanted their employer to offer more resources to help then prioritize their finances and help educate them about saving for retirement. Younger workers, the millennials and GenXers, said that debt, including student loans, was their biggest financial problem. As employers, we would be wise to listen to our employees, and potential employees, and seize the opportunities to provide them with the financial wellness benefits they desperately crave. It will allow them to be engaged workers who will stay longer, be more productive and less stressed. Employers gain increased productivity, lowered costs and healthier employees. As many employers and employees have found, financial wellness is a win-win for everyone involved.